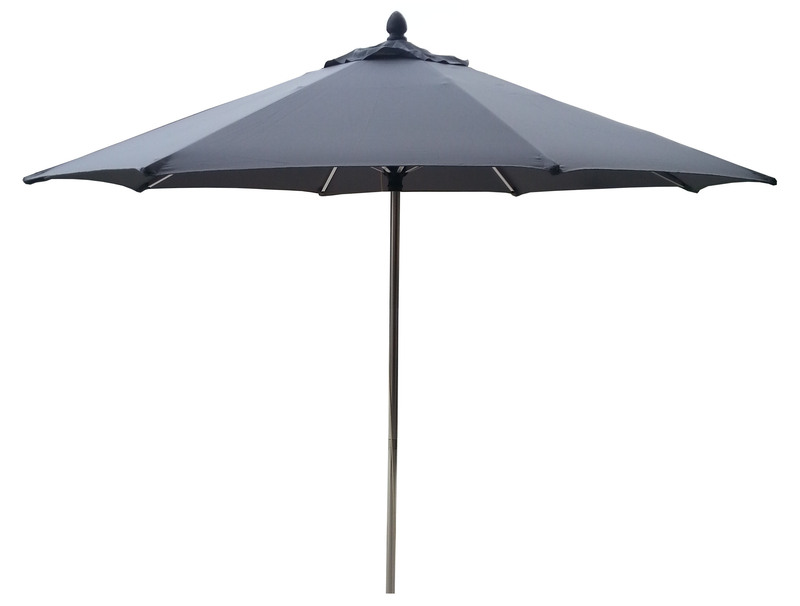 Our latest design. 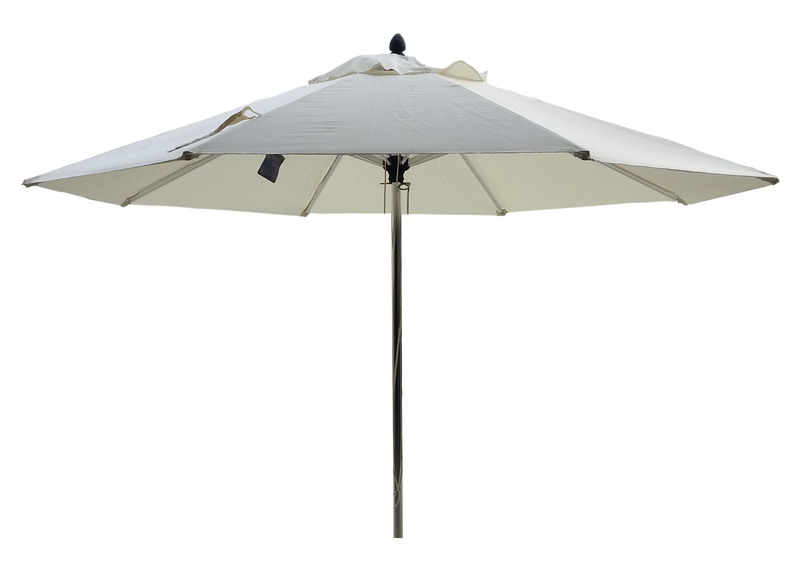 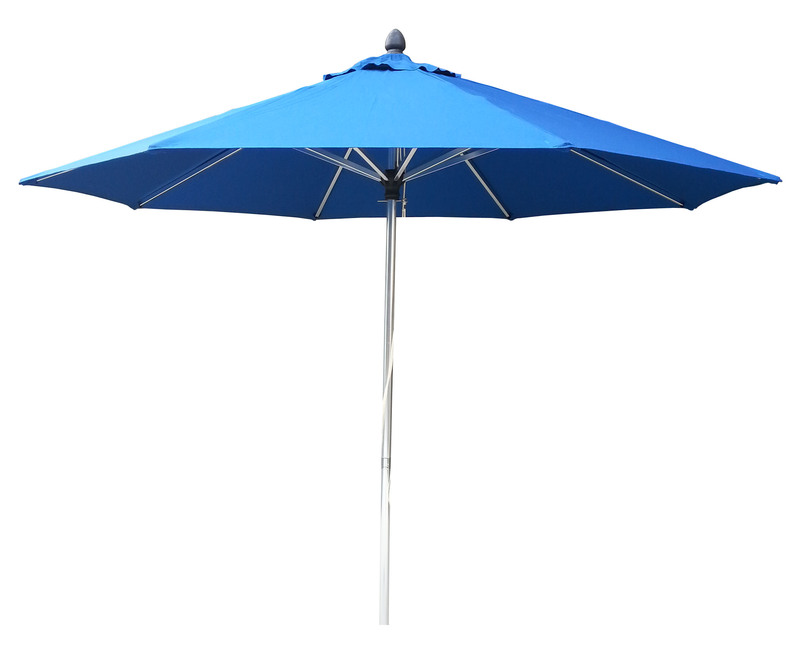 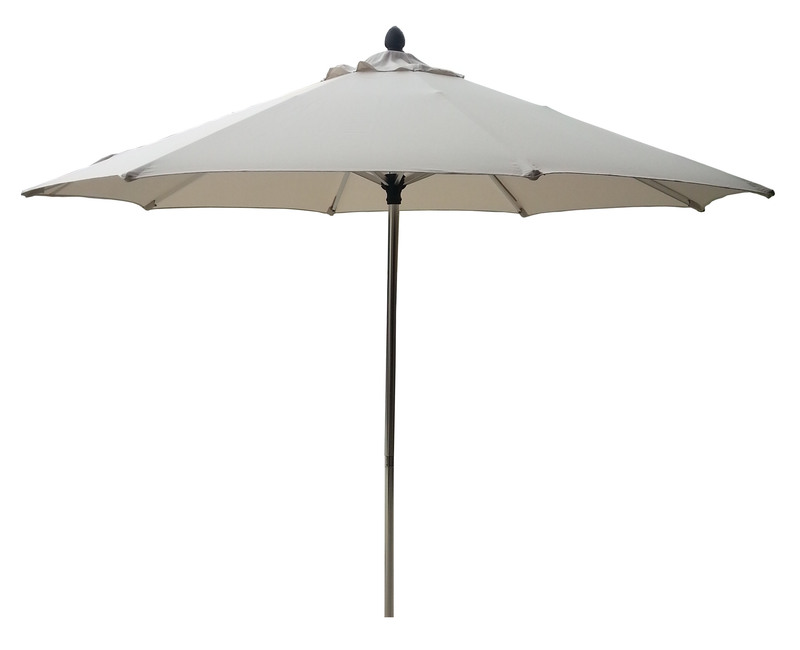 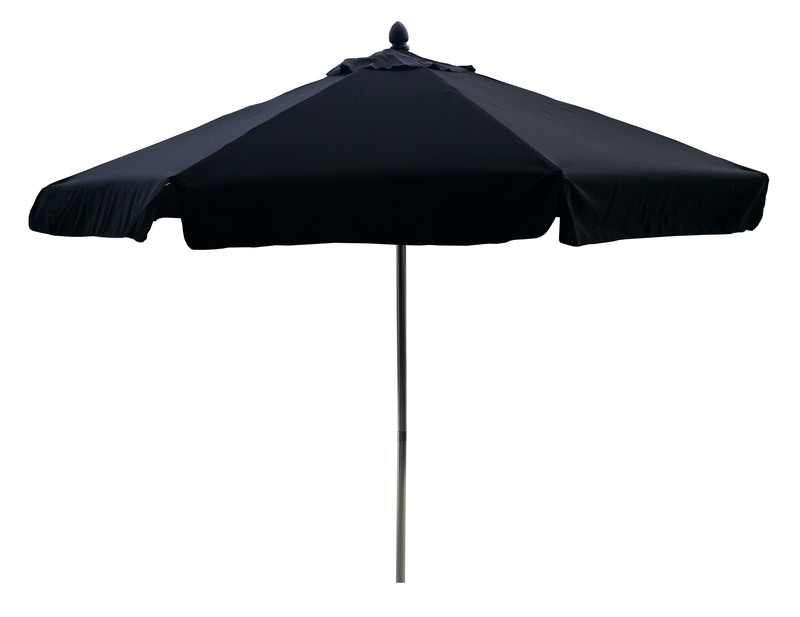 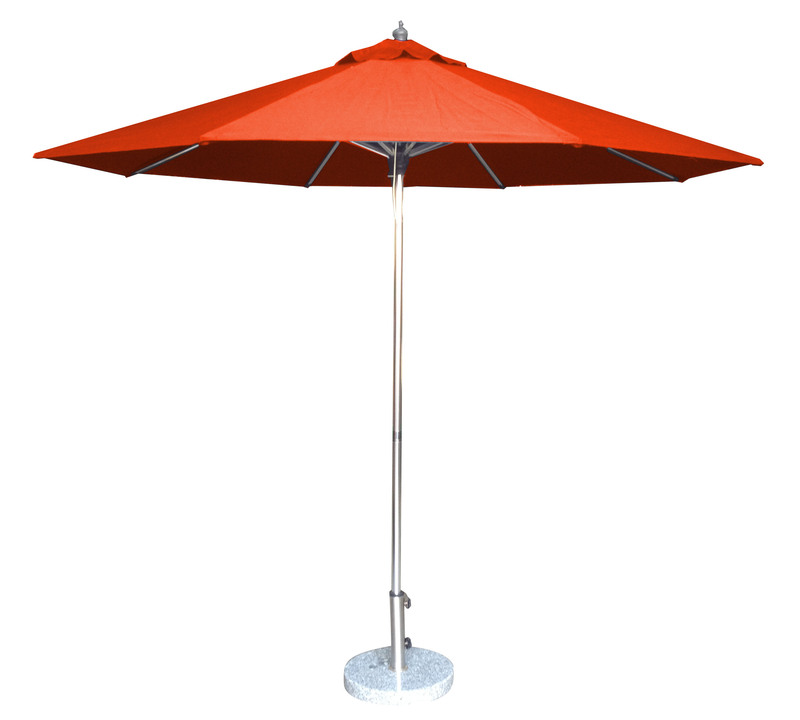 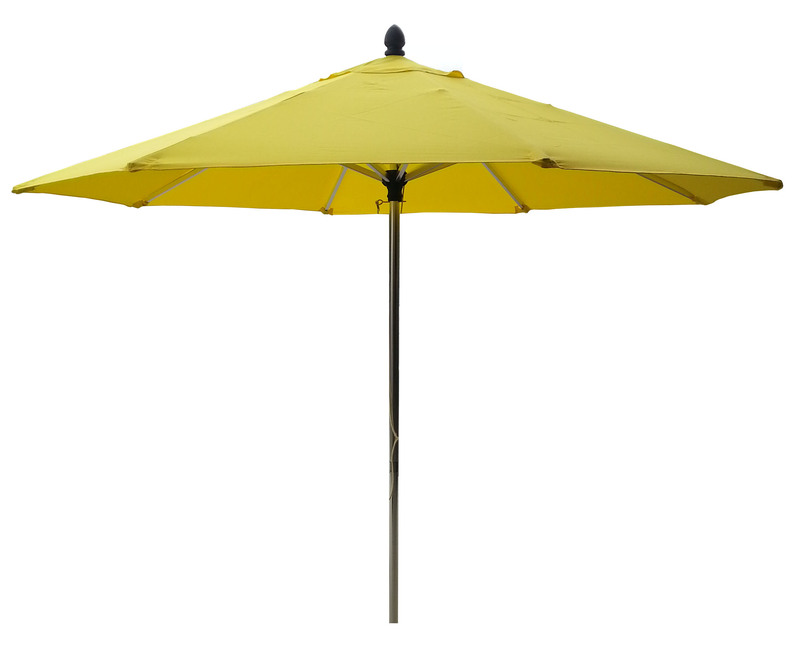 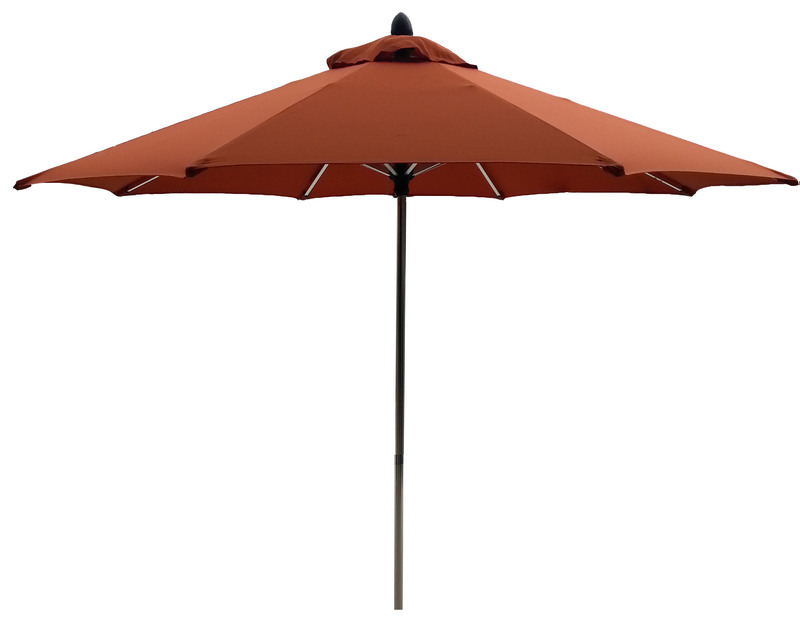 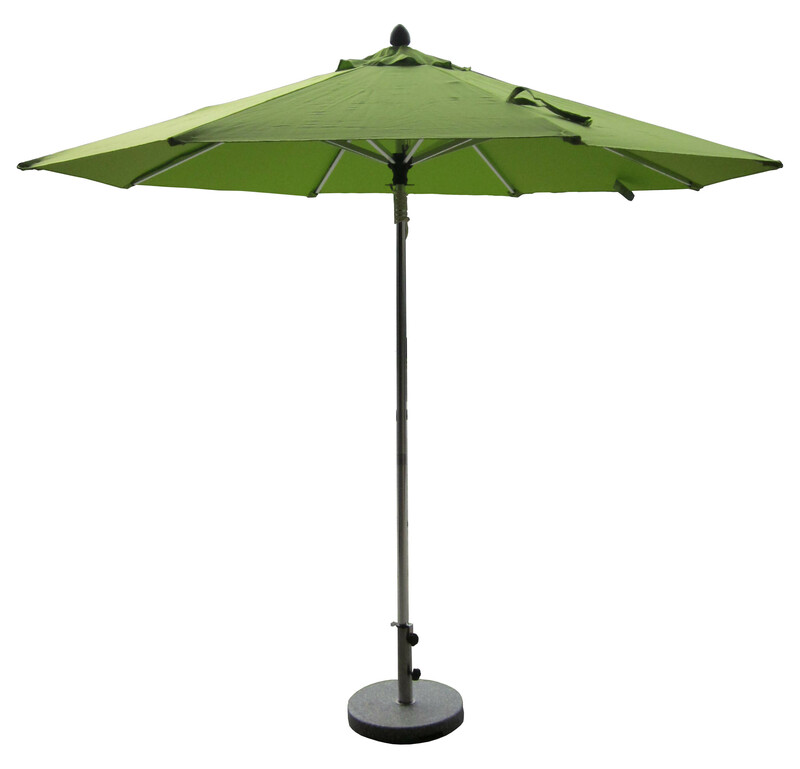 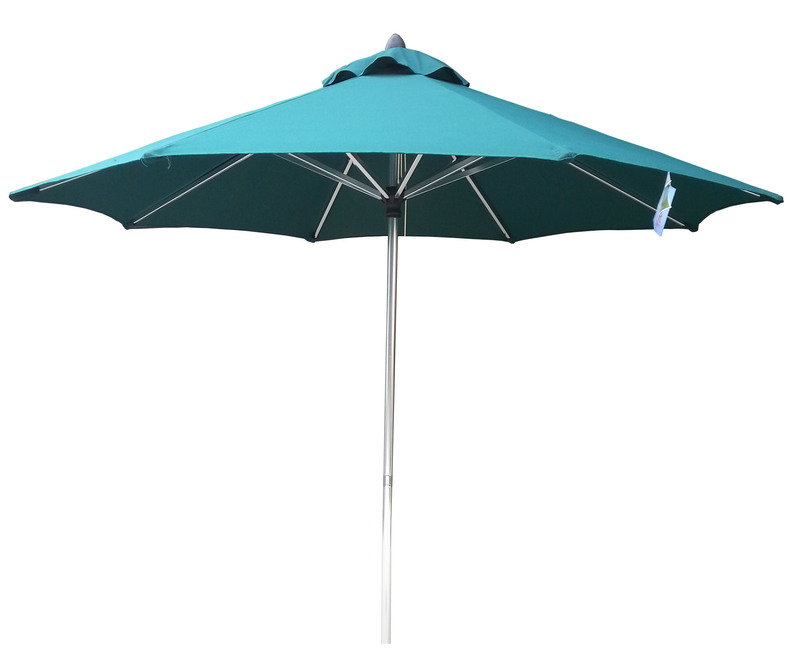 Full aluminium frame with stunning stainless steel look.An umbrella at a great price that looks like a million dollars! 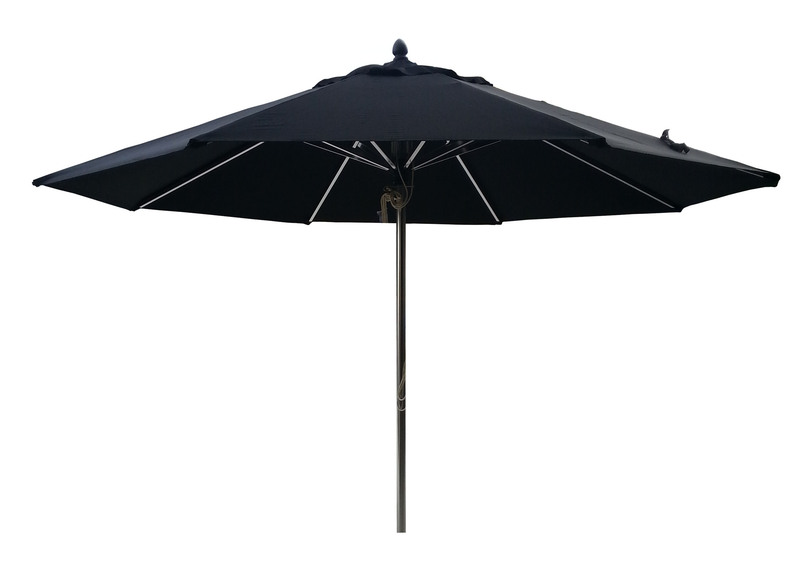 – Black resin coloured hub, runner and ferule. 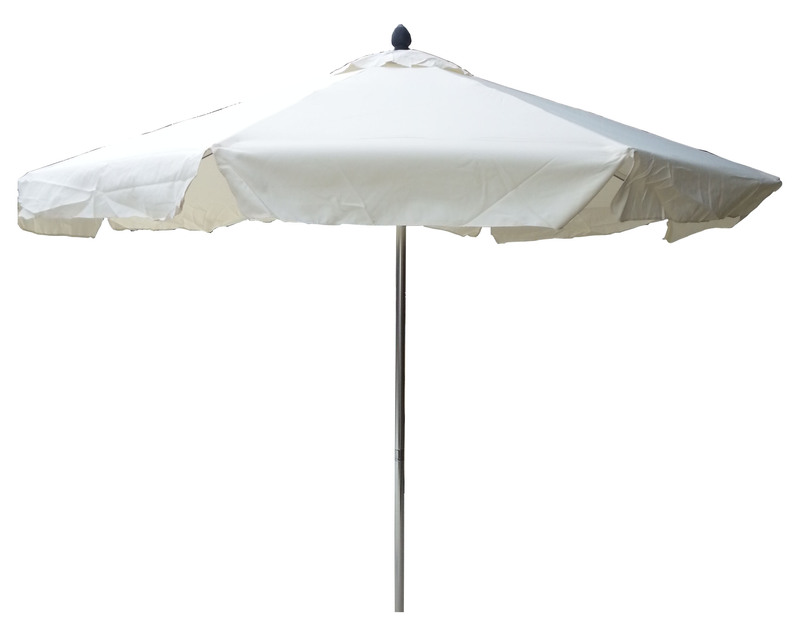 – 38mm pole 2 section on the 2.0m Square and 2.7m Round. 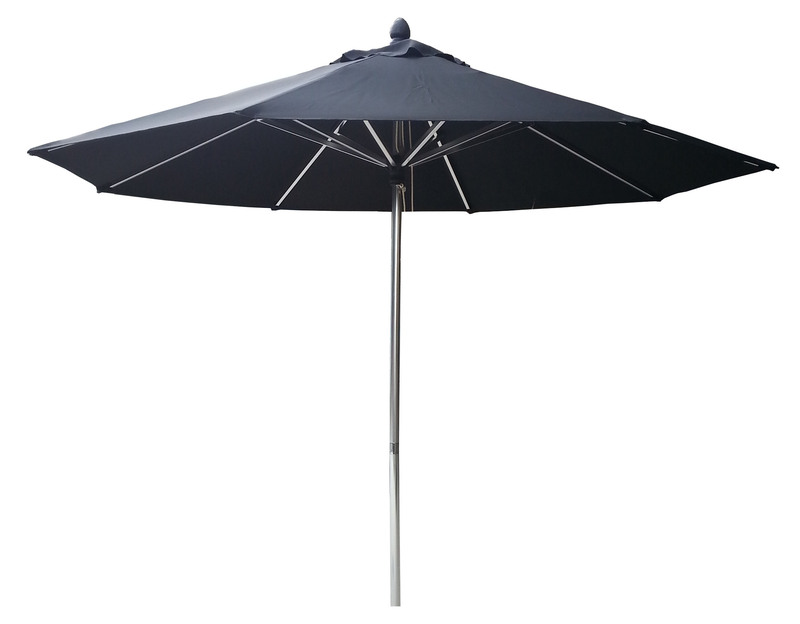 – 48mm single pole on the 3.5m Round.